Happy to be a part of shipping many new yachts for the upcoming 2017 Miami International boat show. We are happy to be nominated to ship the biggest Monte Carlo yacht manufactured, the MCY 105. Successfully delivered to the last Fort Lauderdale boat show together with 2 other large yachts from Italy. 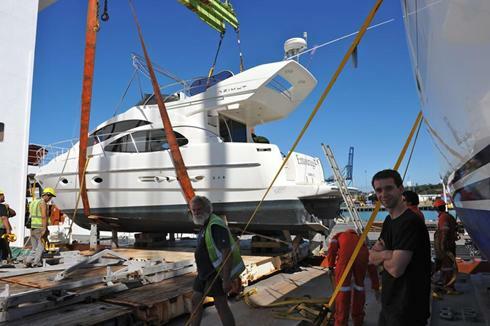 The Azimut "Entourage" arrived in New Zealand a day earlier than expected, just in time for Christmas. Another successful shipment and a very satisfied Customer. 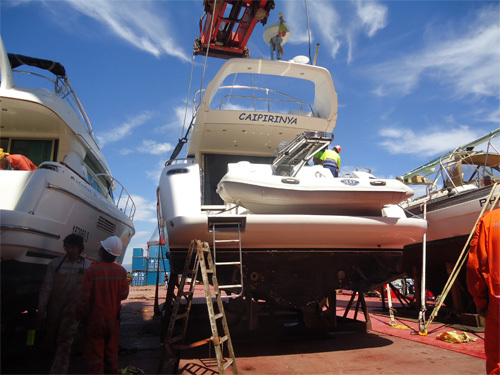 Once more we are proud to bring pictures of our latest shipment of a Sea Ray 450 Sundancer on cradle being shipped via Roll on/Roll off from the port Baltimore, Maryland to Singapore. 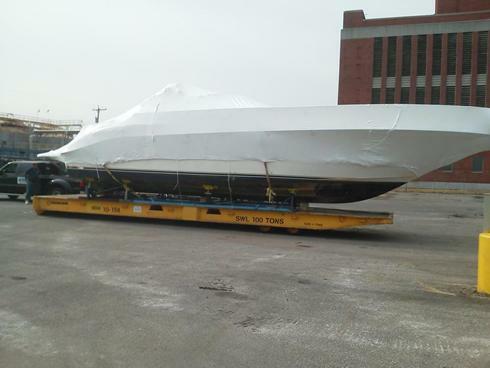 We transported this boat from National Liquidators in Cleveland, Ohio to the port of Baltimore. It pleases us greatly to make these hard to handle tasks happen smoothly. Always remember big or small WeShipBoats does it all! 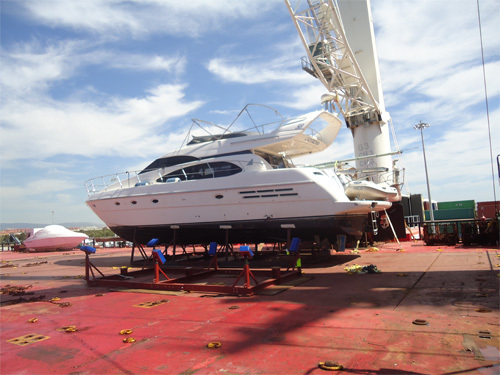 We are proud to inform that our recent loading of the Fairline Squadron 55 at the port Baltimore, Maryland went just as planned. The weather was clear this early November morning at 700 hrs. as she headed towards the port of Baltimore on smooth seas.